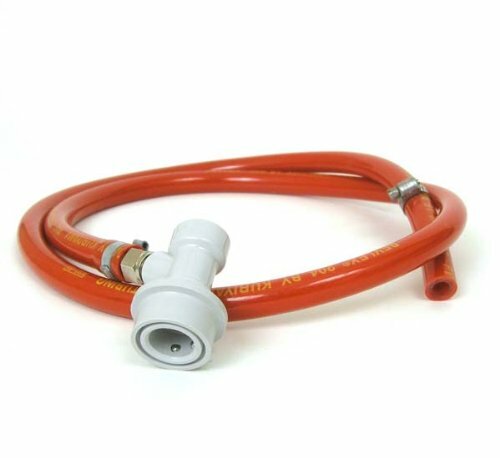 The ball lock gas line assembly includes a ball lock gas "in" quick disconnect, 3' of 5/16" ID beverage tubing, two hose clamps and 5/16" barbed swivel nuts on either end of the tubing. Clamp the open end to the gas "out" of your regulator or CO2 manifold, hook up the ball lock quick disconnect fitting to your Cornelius keg, and you're ready to impart intense carbonation on any ball lock keg. If you have any questions about this product by CMB, contact us by completing and submitting the form below. If you are looking for a specif part number, please include it with your message.